If the error is handled by a try/catch statement, then the onerror event is not raised. onerror event is raised only when there is an unhandled exception. 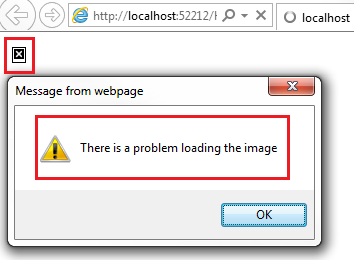 onerror event handler method can also be used with HTML elements : In the example below, since the image is not existing and cannot be found we get "There is a problem loading the image" error.